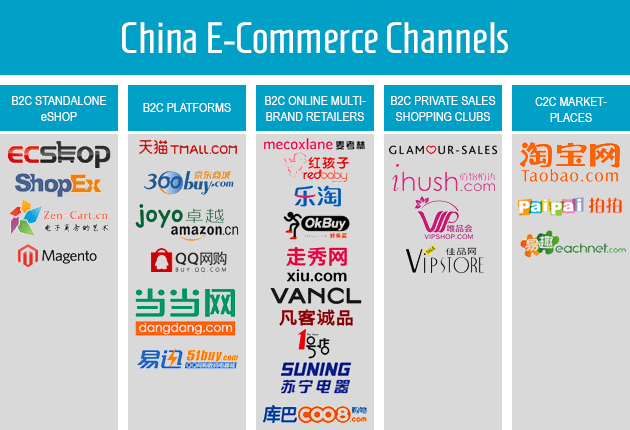 In modern China a significant level of growth of China is fueled by e-commerce. It has become the largest e-commerce market in the world and with the rise of Alibaba at the forefront of online shopping developments in terms of both user experience and technological advances. Foreign goods remain popular with Chinese consumers compared to brands from home. They are often seen as a byword for quality. By 2020 forecasts suggest that a quarter of the total population of China is expected to order items through cross-border e-commerce. That is a projection of 291.8 million online buyers. The main reason for this continued growth is an improving delivery infrastructure. Alibaba now have the most extensive delivery network in the world, with all 1st, 2nd and third tier cities in China being catered for. They are also expanding out to more rural area’s. Third tier city populations becoming more connected online to e-commerce services will be a key growth area in the next five years. It is also a case of ease, congested Chinese cities and pollution has been dissuading shoppers and encouraging them to go online, in hectic modern China the digital environment dominates and consumers are looking towards online shopping in order to utilize their time more effectively. There is a greater confidence in the quality of foreign products than Chinese brands, especially regarding luxury items and food products such as powdered baby milk. Both Alibaba and JD.com (the two largest platforms) are attracting many foreign brands. 82.8 % of Chinese e-commerce market is dominated by two local players : Tmall (Alibaba) and JD.com. Foreign brands therefore must enter the market through these domestic platforms in order to gain visibility. Tmall global was specifically designed by Alibaba to host ‘stores’ for international brands, it is the largest online outlet for western products in China. JD.com are also launching a similar foreign section service. The guarantee of authenticity in a market full of counterfeit products is the reason for the growth and appeal in this western branded sector. Recently, the Chinese government introduced new tax policy to effectively raise the price of goods over 2,000 RMB (USD 308) from abroad. This new policy of value added tax (VAT) imposed on the import will particularly impact on e-retailers that sell luxury goods as only goods under the value of 2.000 RMB (USD $308) will be subject to tax relief. This new tax is not however surprising and will largely effect luxury brands whom can afford higher taxes due to the high cost and return on their investment in China in terms of sales. For the vast majority of imported products this new tax will have little effect. It is important to familiarise yourself with the variety of e-commerce channels. Alibaba and JD.com dominate the market but there is growth in smaller, niche stores that are attracting consumers looking to differentiate themselves from the mainstream. Many fashion brands now set up their own stores online. Micro stores within the WeChat (the largest social media platform in China) are growing phenomenon. Users link their WeChat accounts up to their banking and can now browse e-stores within the application making it easy to purchase goods in this manner. This is an example of how China is at the forefront of combining social media and e-commerce in one integrated service. This means quality content promoting your goods on social media can lead directly to sales within the same platform. You can also utilize ‘apps within the app’ on WeChat where you fully customize your own page, offer customer services, present your product range and then allow purchases too. Benji is a digital marketing and e-commerce specialist based in Shanghai, China. For more information see his blog and website here. Previous Post Chinese E-payment platform ‘Alipay’ goes international.